NEW! Although we have offered our Libido product for many years (formerly called Male Advance) we never had a page specifically for people who take this product to provide testimonials and reviews. Many people take more than one of our products and so in the past their testimonials were combined with those of our other products. If you are a customer who is taking Libido and you would like to provide us with a product review or testimonial please call 818-902-0685 or you may use our convenient secure online form. If you have not yet tried this product and you are looking for a safe and effective alternative to medications such as Levitra, Cialis, and/or Viagra please click on the photo above and you will be taken to the product page where you will find more infornation about Libido. I am so impressed by the quick, steady, and amazing results of your products, especially when compared to other products I've tried in recent years! Thanks again for your excellent product, outstanding customer service, and professionalism! I've taken several of your ProBLEN supplements and I've not had one that did not work as described, which in the nutraceutical industry is quite a feat. I've taken others that were a waste of money AND time. My wife and I both thank you for your Male Advance (Libido), and Female Balance (Estrogen & Progesterone)! We are reliving our teenage days. All I can say about this product is thanks! After everything I have heard on the news lately with everything the doctors are prescribing, I am glad to have natural product. I have not felt like this since I was 18 years old, my wife thanks you. ©1999-2019 HGH-Pro, All Rights Reserved. This website has not been evaluated by the FDA. 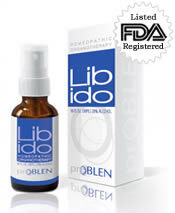 Our products do not require a prescription in the United States. They are not meant to diagnose, treat, cure, or prevent any disease. Please consult your private healthcare provider.